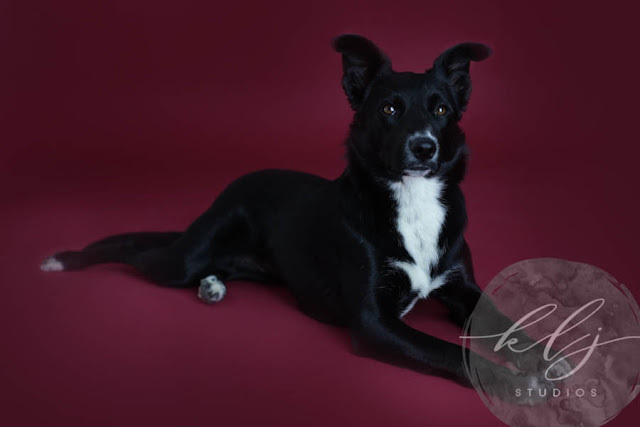 On March 11th, 2019, KLJ Studios Photography had the pleasure of photographing one of Just Add Dog's Tricks for Pics students. Every student from Just Add Dog's classes (Posing 101 and Tricks for Pics) receive a complimentary Sit Stay Smile Limited Edition Session with 10% of the sales going to PAL (Pet Assistance League of Northern California). The session was held in Downtown Historic Woodland in our photography studio at 424 First Street. The Lead Photographer for the Session was KLJ Studios Lead Photographer Kelly Jordan and the Second-Shooter and assistant was Beckie. Our four models Bodie, Bonnie, Bugsy, and Bertie Bots were fabulous and gorgeous. 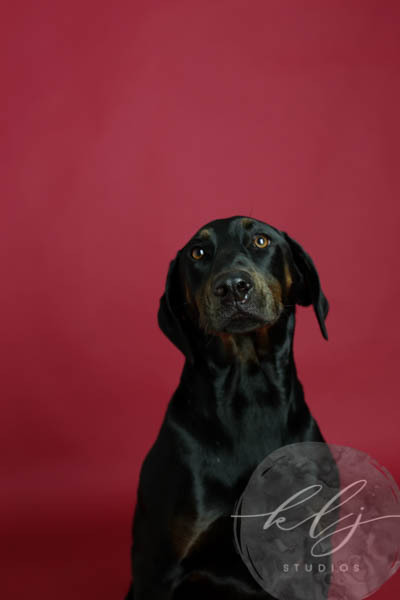 Bodie was for sure the star of the show, brave enough to step on the paper background first, she helped the rest of the pups through the portrait process. Bonnie, who was the star of the Tricks for Pics class, was the least excited to hop on the paper background while Bertie Bots, the youngest, was more than happy to and showed his excitement by having a little accident. 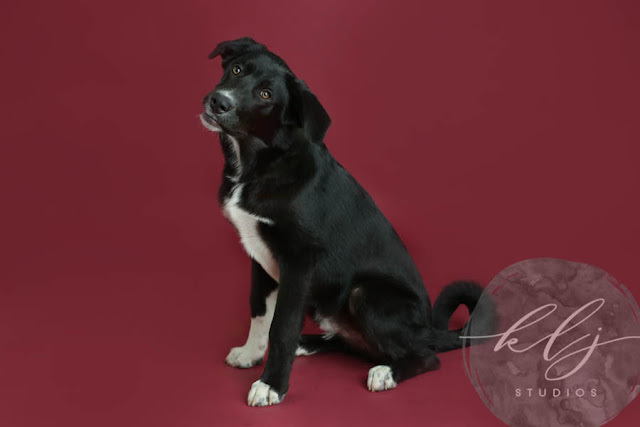 Bugsy was also not super thrilled to be on that paper background. 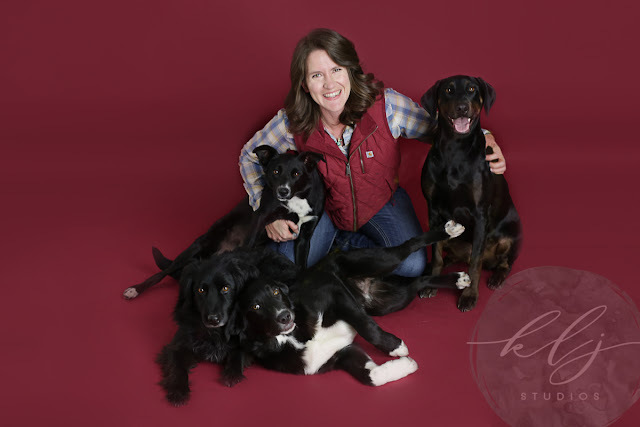 However, once everyone got comfortable we were able to get the perfect shoot of all four dogs posing with mom with everyone looking right at the camera. Thank you, Stacy and pups, for coming and donating through this amazing portrait session. It was a blast meeting all your pups and seeing their very different personalities. 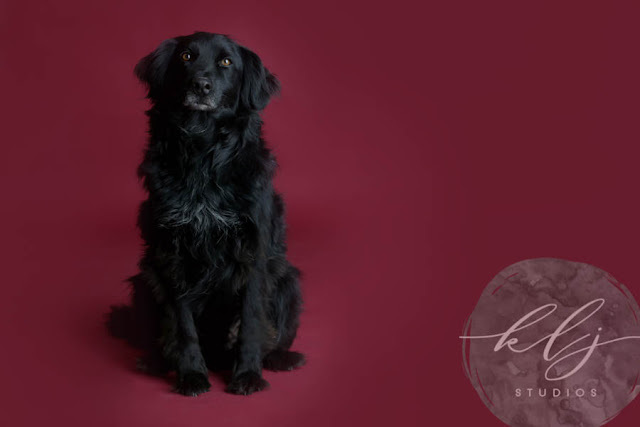 Can't wait to photograph you guys again and welcome to the KLJ Studios family.